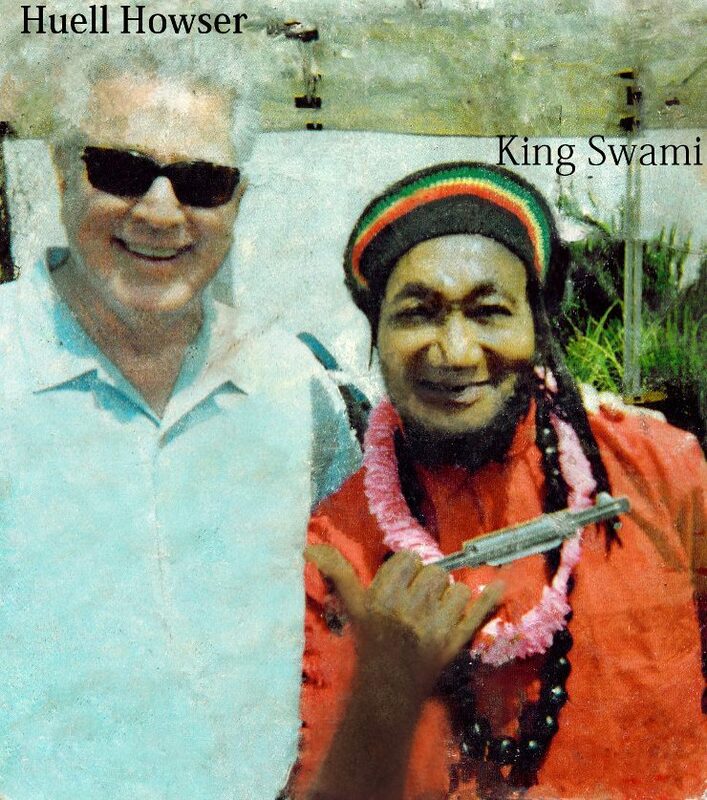 Ziggy Marley and King Swami at Farmers Market. The Shamanic View of Mental Illness .. Not what you think! Actor Neal McDonough, (Jay Hamilton in “Walking Tall”, “Fletcher” in the Tom Cruise film “Minority Report” and “Dum Dum Dugan” in Captain America: The First Avenger, ABC’S “Desperate Housewives”, USA’S “Suits” and other shows), visits with King Swami at the Market. A high School sophmore created an inexpensive early detection test for Pancreatic Cancer – Until now less than 10% diagnosed survive because the cancer spreads before it is detected–expensive to test. B.Seed : Thanks so much for being on our blog Jack. A Student, lecturer, research scientist. An inventor, specifically an inexpensive early detection test for Pancreatic (as well as ovarian and lung) Cancer. Wikipedia reports that “The disease occurs most often in the developed world, where about 70% of the new cases in 2012 originated”. Why do you think the most developed nations are most at risk? The Black Women In Jazz Association’s Flutist of the year is a big supporter of public school arts programs. Grammy nominated keyboardist Patrice Rushen is on her new CD “Quantum Drive”. B.Seed : Thank you Ragan for being on Brightseedblog. A Flutist, vocalist, and songwriter. “She not only has THE silkiest and sweetest flute tone in the business, but her tenacity and desire to be recognized in Urban, New-Soul AND smooth jazz genres makes her a musical force to be reckoned with!! Mark my words!” – Bob Baldwin. It sounds simple. So what is, in not too technical terms, a flute tone? The great-great-granddaughter of Madam C. J. Walker, Americas first female self-made millionaire, has a new book .. and lots to say. Internationally renown architect Frank Gehry has designed a new home for famous Los Angeles club started by singer Ruth Price . B.Seed : Thanks for being on Bright Seed Blog Ruth, dancer, Singer, actress, jazz club, fundraising — I think you are first and foremost a singer but the later part of your life you have worked as hard as anyone to keep live jazz in So California. I sense a “happy go lucky” demeanor with you, a positive outlook, even when things aren’t going the way you want. How did your parents react to your decision to leave ballet and become a singer? Whether shes performing with legendary rockers Joe Walsh and Kenny Loggins, singing at the SoHo in Santa Barbara CA, or at home playing on her Craig keyboard Lois Mahalia is always smiling. B.Seed : Thanks for being on bright seed blog Lois, singer, humanitarian. You are a regular performer in Santa Barbara California at the Fourseasons Biltmore Ty Lounge and sometimes you perform at the Soho Restaurant & Music Club. You were there, I believe, New Years eve of 2012 doing a show with singer/songwriter/guitarist Kenny Loggins, entertainer and “interior designer to the stars” Dion Mial and others. how did it feel to perform for the crowd that night? Illinois Press Women’s Association awards, NAACP Image Awards, New York Times and National Bestsellers, the résumé is huge for Naleighna and her clients. An interview you can’t miss. B.Seed : Thanks for being on Bright Seed Blog Naleighna, writer, agent, editor, professional literary consultant and event organizer, CEO, marketing director and mother. You wear a lot of hats. From what I see you wear them well. How do you find the energy to do all the things you do? The The University of British Columbia graduate may be Vancouver’s only dancing accountant. Read her interview. B.Seed : Thanks for being on Bright Seed Blog Jenny, choreographer, dancer, cheerleader, teacher, accountant. You were very serious about acting back around 2004. You attended the William Davis Centre for Actors Study, i believe. Were you interested in doing that as a career? Has it helped you as a dancer/choreographer? Gast .. It’s Just Me ! B. Seed : Thanks for being on BrightSeedBlog GAST. Your bio says you are 25 years old, a travel agent, and you are from Cairo. Is that your home? did you grow up there? Gast : yes I grow up in Cairo and am 100% Egyptian. B. Seed : Electronic music, ambient, you also mention IDM. Some people feel IDM is a derogatory term, do you? Former producer at Americas Got Talent, Steve Harvey’s Big Time and The Tom Joyner Show, has a new cd. B.Seed : Thanks for being on Brightseedblog Audra, writer, producer, singer, actor, former member of the Mosaic Youth Theater. From former MYT member, singer Ebonique: “..its my structure, not to make music about minute things, but those that can touch and help”. Is this how you feel? Are any of today’s singers? a role model for you? encouragement for you? Her book is a collection of stories on her family, her relationships, living with Scoliosis and much much more. A must read interview. B. Seed : Writer and author Nariscia Lott, thank you for being on bright seed blog. Your work, Weepin’ Willa; i say work cause even though you classify it as “short stories” and it is, there is so much more here than that. The title, “Weepin’ Willa”, the spelling. How did you come up with the title? National Dance Institute founder Jacques d’Amboise speaks with praise about the revolutionary TERP System. B. Seed : Thanks for being on brightseedblog Patrice. You went to the Juilliard school. Was there a specific reason you went there? What did you learn about choreography if anything? B. Seed : Thanks for being on brightseedblog. A “poetic vocalist”, poetry, music, spoken word. All these things are a part of and make up your art. Has Karen Gibson Roc carved out a new genre for art lovers? B. Seed : Thanks for being on brightseedblog. Matthew Shell, recording engineer, grandson of a famous math/computer scientist, featured twice on GRAMMY.com, and music producer. For those who don’t know, what exactly is a music producer? B. Seed : Thanks for being on Brightseedblog Tony. A lyricist, songwriter, poet, music publisher, producer & author. One can’t help but view your life as a really special journey that takes you through decades of some of the greatest music of our time, a trip that has allowed you to meet and work with legends of r&b, jazz, and rock. Are their times when you look back on your career and say “wow”? Bright Seed : Thanks for being on brightseedblog Amanda. I know you have heard a couple of my tunes on Soundcloud … what did you think?